An innovative improvement to an old idea. 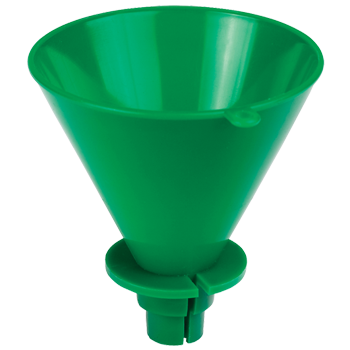 Tolco’s Vented Funnel has a unique slot in the side of the funnel that allows the container to vent as you pour. The vent allows you to continuously pour without spilling a drop or having to pause to allow the funnel to catch up. Secure Fit: The stepped neck design of the funnel fits securely in 28mm and 38mm bottle openings.